Benjamins are pleased to bring to market this beautifully presented, three bedroom semi-detached house located in the highly regarded village of Keyworth on Mount Pleasant. 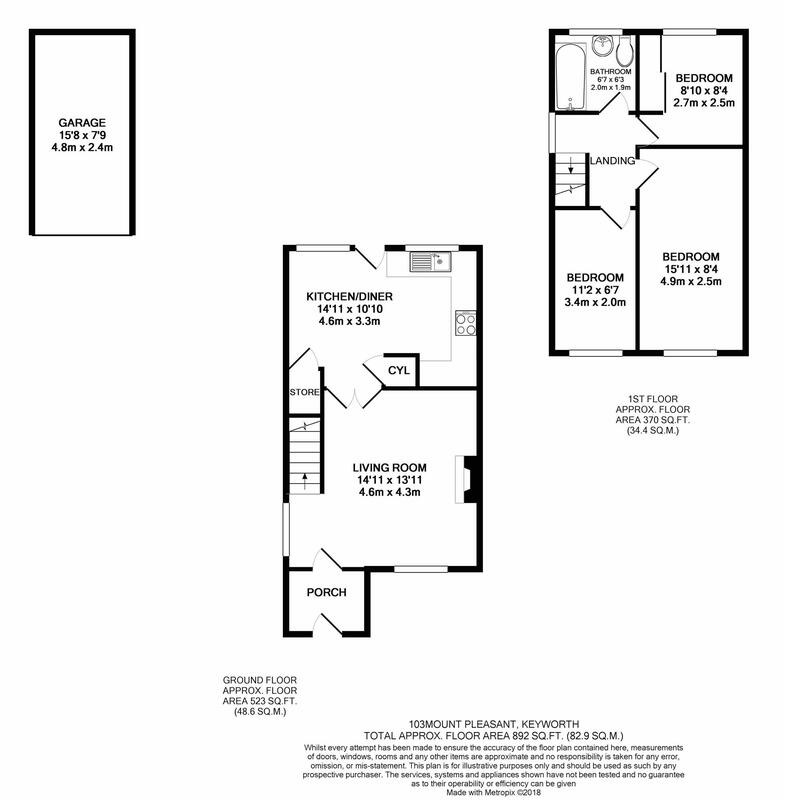 A high specification well presented home in a highly sought after location. This property would make an ideal purchase for first time buyers, professional couples or families. The accommodation briefly comprises of an entrance porch, living room, kitchen/diner, three bedrooms, bathroom. Outside there is ample parking on the herringbone block paving and enclosed garden to the rear. To arrange a viewing please call Benjamins Sales on 0115 9371713. Having UPVC double glazed window to the front aspect, radiator, tv & phone point, carpeted, gas fire with surround, ceiling light fitting. Double doors through to the kitchen diner & stairs up to first floor landing. With base and wall mounted kitchen units, work surfaces over, single drainer stainless steel sink & mixer tap, tiled splash back, gas hob with extractor fan above and oven below, plumbing and space for dishwasher & washing machine, space for fridge freezer & storage cupboard. Space for table & chairs. Two double glazed windows overlooking the rear garden & UPVC double glazed door to rear garden. with fitted carpet, UPVC double glazed window to side aspect and access to the loft. UPVC double glazed window to rear aspect, fitted wardrobes with sliding doors, with radiator, fitted carpet, ceiling light fitting. UPVC double glazed window to the front aspect, fitted carpet & ceiling light fitting. White suite, comprising a wash hand basin, low level wc, panelled bath with electric shower over, partly tiled walls, towel radiator and UPVC double glazed window to rear aspect. The rear garden has a paved patio with steps up to laid lawn and lighting under wooden sleepers. Door with access to garage. 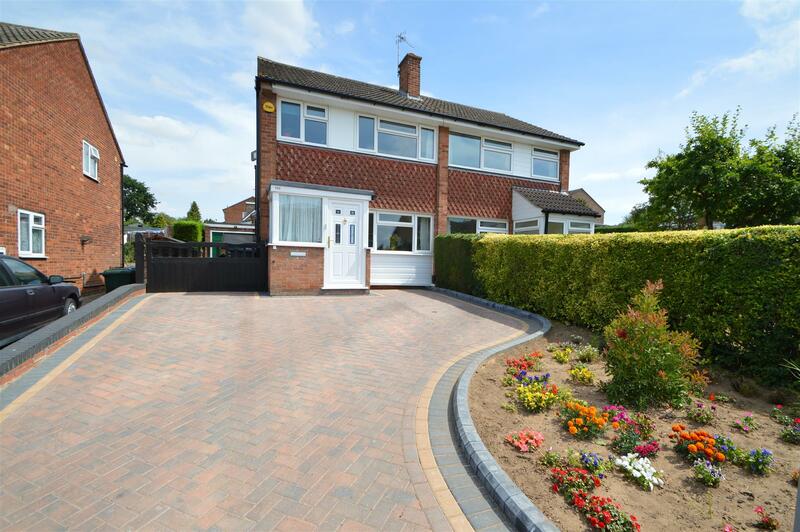 To the front garden there is paved driveway with parking for several vehicles and a hedge boundary. Gated access down the side of the property to the rear garden. With up and over door to the front and door with access to the rear & window. The local authority Rushcliffe Borough Council has advised us that the property is in council tax band C, which we are advised, currently incurs a charge of £1,682.88 (2018/19). Prospective purchasers are advised to confirm this. Under the Protecting Against Money Laundering and the Proceeds of Crime Act 2002, Benjamins require any successful purchasers proceeding with a purchase to provide two forms of identification i.e. passport or photo card driving license and a recent utility bill. This evidence will be required prior to Benjamins instructing solicitors in the purchase or the sale of a property.